In years to come this will be seen as a watershed election for New Zealand. Is the country able to embrace change and elect a government willing to tackle the serious problems we face in health, housing, education and income inequality – or will it allow itself to be spooked by lies and diversions into settling for another three years of evasion and denial? Judging by last night’s Newshub poll, National is succeeding. So long as we keep talking about Labour’s plans, we’re not talking about National’s lacklustre performance during its nine years in office. Mission accomplished. Last week, National lied about finding a non-existent ‘hole’ in Labour’s alternative budget. This week, National leader Bill English is claiming that farmers could face a $50,000 cost increase from Labour’s water tax plans. Another phantom fear. The minimal charge Labour is proposing would not apply to all farmers, but only to those accessing water from taxpayer-funded irrigation schemes. To rack up a $50,000 bill at circa 2-3 cents a litre cubic metre of irrigated water, the farmer in question would need to be drawing off close to a whopping 3 million litres cubic metres [corrected] of water a year. Currently, an estimated 78 per cent of the water drawn from New Zealand waterways is for farming purposes, and a staggering 63 per cent of that is occurring in Canterbury. What should that be telling us? 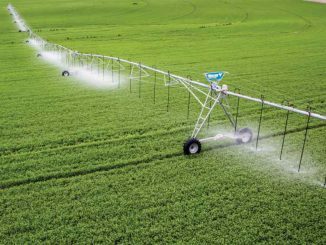 Plainly, that the land being irrigated with such intensity is not naturally fit for the purpose – mainly, dairy farming – to which these massive water drawdowns are being put. Land is being converted to dairy in say, the Mackenzie country that is changing its unique landscape forever and yes, this process is unsustainable. Meanwhile, the current levels of irrigation and related dairy conversions are polluting our rivers and lakes, and (besides the heritage loss for future generations) this is endangering the economic returns from tourism. In the process, the profits are being captured by a relatively small number of farmers who – in the bigger scheme of things – are now being asked by Labour to pay only a relatively small fee for their use of the irrigation schemes that the taxpayer has funded so generously (to the tune of hundreds of millions of dollars) for their personal enrichment, while our schools and hospitals go begging. If, in fact, it turned out that the Labour water tax went some way to sending a price signal that deters dairy conversion, over-stocking, river pollution and farm generated climate change emissions then surely, that would be a very good thing. It would have been a user pays, polluter pays exercise. Instead, the likes of Federated Farmers want the free ride to continue, and are even portraying farmers as the victims – as if putting up a few fences around waterways should exempt farmers from criticism and grant them unfettered pollution rights in perpetuity. Apparently, not only should taxpayers continue to fund this pipeline of privilege, but we should refrain from criticizing farmers for their degradation of the country’s natural heritage, as they chase a single generation’s worth of profit. And what is National proposing to do about all of this? Sweet nothing, of course. It prefers to stand on the sidelines and scare-monger about the responses being proposed by Labour and the Greens. That’s what it does. Between elections, National will ignore taking any positive action to grapple with affordable housing, income inequality, emissions reduction etc. Routinely, it denies that such problems even exist. Come election time, it then puts its energy into promoting bogus fears about the prospect of change. So, if one can believe last night’s polls, the country is being set to drift for another three years. Wages will continue to stagnate. Income growth per capita – which is a far more telling measure of economic success than GDP growth figures pumped up by immigration and construction – will continue to be meagre, compared to other OECD countries. Wages will continue to be taxed while the wealth generated by investment and housing speculation will not, in any meaningful way. The environment will steadily degrade. As mentioned, there’s a crucial choice facing the country at this election. The Deportation and Destruction Tribunal (aka the Immigration and Protection Tribunal) has really excelled itself in deciding to deport the Indian woman whose family assaulted, chained and tortured her for years – before and after she married for love, rather than accept the arranged marriage the family was demanding. Here’s the gist of how New Zealand has met the “protection” part of its obligations under Article 3 of the UN Refugee Convention. The tribunal ruled the couple were at risk of persecution in their native Punjab, but were not refugees because they could safely return to another part of India. ….the tribunal ruled the couple were not at risk of being persecuted if they moved to Mumbai or another large Indian city. “The tribunal is satisfied that were the husband and wife to return to their home city there is a real chance that the wife’s family will make good on their threat to kill them. But it ruled that it was speculative to conclude that the wife’s family had sufficient political leverage to track down the couple using the police or identity cards or other means. No, what’s “speculative” here isn’t the couple’s fear that the family will track them down. It is the Tribunal’s speculation – a gamble with the lives of the people in question – that the family won’t track them down. How could this couple possibly prove that their fear of being murdered was reasonable? By going back home and being burned alive? I guess that would enable the Tribunal to then posthumously grant them asylum. Earlier this year, the couple reportedly had their baby removed from their care. So the fact that a part of the country exists that doesn’t pose an immediate threat still should be no reason to deny refugee status. It is “reasonable” to expect this couple to successfully relocate – with or without their baby – to Mumbai, which is roughly 2000 kilometres by road and rail from their powerful and murderously inclined Punjab family? Won’t the couple always live under a reasonable fear of retribution? It is hard to square our abandoning of this couple with our UN commitments. If anything, it seems worse than the Australian treatment of its boat people. At least the Aussies aren’t deporting the boat arrivals straight back to the very danger from which they fled.